What makes the Irish so funny? Malachy McCourt (above at the IAW&A Salon at The Cell in New York in April) and two other comics weigh in. Three comedic performers with Irish roots share how they get to the laughter. Is it the collective painful history as a people? The tendency not to take themselves too seriously? The influence of Irish hospitality? Or maybe they were just born that way. The larger-than-life Malachy McCourt, the sardonic Kevin Brennan, and the sophisticated, witty Maureen Langan shed some light on how they process life into material. Recently I had the pleasure of witnessing the talent of three Irish artists who are famous for being funny. According to the actor and writer Malachy McCourt and stand-up comedians Kevin Brennan and Maureen Langan, life provides endless material, and there’s always enough humor to go around. The tradition of Irish hospitality shines through in their ability to listen, take in life, and then use it in performance. Whether it’s a small crowd or a standing-room-only house, this comedic trio always leaves the audience wanting more. Here’s a glimpse of their personal perspectives on humor. Malachy McCourt is an actor with Limerick roots, an old-school storyteller (seanachie), radio personality notorious for his humorous rants on current events, and founding board member of Irish American Writers and Artists. He admits that he’s always been kind of a show-off, and that was his defense against despair and darkness. There is a certain equality in humor, as words are free and everyone is welcome to laugh. The kind of humor Malachy likes is when a powerless person triumphs over the established order. An Irish penchant for irreverence magically changes the focus to something funny, lest we all be sitting around crying. Soon after I met with Malachy, he fractured his knee. He urged his concerned fans and friends not to send thoughts and prayers; instead, they should send large sums of money. He also told a hospital visitor that he hurt the knee kneeling down to pray too often. Devoted to his craft, he snuck out of the rehab facility for a day to work on a film. So much of the humor he grew up with was connected with death, the next world, the pearly gates to heaven, and the characters who gain access or are sent to hell. He relayed a story from a radio interview that showed laughter to be a life-or-death situation. McCourt supposes the Irish disease is an obsession with respectability. One of the potential penalties for being funny is you could be dismissed as just a joker. One could risk never being taken seriously or accepted socially. The Irish are so conscious of what they think to be proper or improper behavior. He notes that it goes as far back as pagan law forbidding one to let anyone pass the house without being a good host lest they talk about you. “Who do you think you are? Don’t be a show off, stop drawing attention to yourself, keep quiet and nobody gets hurt, don’t ruin it for all of us, what will people say?” Keeping the laughter going involves taking risks and some degree of courage. The pursuit of laughter has to overpower the “what will people think?” syndrome. Once people are laughing they stop thinking too much. Malachy took the risk and kept himself entertained as a kid by being a prankster. He once placed a newspaper ad that resulted in a mound of used Christmas trees on a curmudgeon’s lawn. When Malachy was sent out for twine he asked one lady at the end of a road to hold one end and a gentleman around the corner to hold the other end, and just left them in their own Beckettian play. He’s even had a phone prank that lasted 20 years. Ultimately, you have to be able to laugh at yourself. 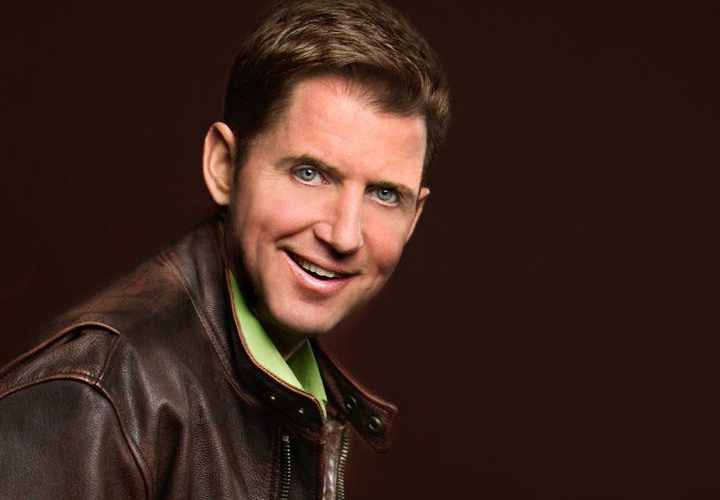 Kevin Brennan has been in the funny business for about 25 years. His mother’s parents were from Counties Mayo and Kerry and his paternal grand father was from County Laois. There was not a lot of time spent sitting around reminiscing about the old days in Ireland. Growing up in a family of ten children, most of the energy was focused on feeding everyone at the table. In one of his bits Kevin mentions that his parents were considering adopting another child and his first response was, “Go ahead, we’ll eat him.” You didn’t really get to talk to your parents like today. They were like the president of a corporation. The first time Kevin was alone with his own mother was after he was married. One of the revelations Kevin Brennan had when he first did stand-up was that it was the first time he experienced speaking without a room full of people talking at the same time. Kevin thinks there would be fewer Irish artists if they could just say what it is to be sad without having to transform it into a story, painting, play, poem, or comedy. Malachy pointed out that the Irish humor is steeped in being indirect. Kevin describes it as “the Irish filter.” The Irish are not well known for articulating feelings; feelings and emotions must be repackaged into a joke in order to be processed. Brennan processes life through his Irish filter. “My dad grew up in a family of 12 funny people,” Kevin says. “So I think there is definitely something in the DNA to being funny. I don’t even consider myself dry. Compared to my uncles, they are the driest.” Some people are just born funny, and Kevin is one of them. Kevin has talked with therapists, and though he swears he was not trying to be funny, he says they would just laugh at him. The truth can be funny. Timing is everything. When Kevin looks at life’s crazy, awkward, or sad moments, his main question is How long before this is funny? In one of his bits, his wife asks, “Why are you acting so weird now?” His response is, “I’m not acting weird. When we were dating I was being nice and buying you stuff all the time, then I was acting weird. This is the real me.” Who’s to say what the right way to staying sane is? Especially these days as it seems more and more we need to laugh. At the end of the day Kevin is just another writer struggling to create and find meaning in his life and not go insane. Maureen Langan’s mother was born in Cavan and her father is from St. Jerome’s Parish in the Bronx. Her paternal grandmother is from Tullamore in County Offaly, and her paternal grandfather is from Mullingar in County Westmeath. Langan says, “I’m really proud to be Irish. Being Irish does not mean green beer and green bagels and beating each other up on St. Patrick’s Day, that’s for sure. I’m very proud of my heritage, I have dual citizenship. I’m proud of what the Irish have to offer culturally. The writing, the words, the wit is second to none, the quick mind, the sparring, taking the piss out of each other, it’s just so quick.” Langan added that the inherent Irish quality of hospitality tends to compel Irish comedians to listen closely to what’s going on, take it all in, then put a spin on it. They are also the best audiences, hands down. Langan has at least 17 years in the business, and a rant style that gets her audience thinking. 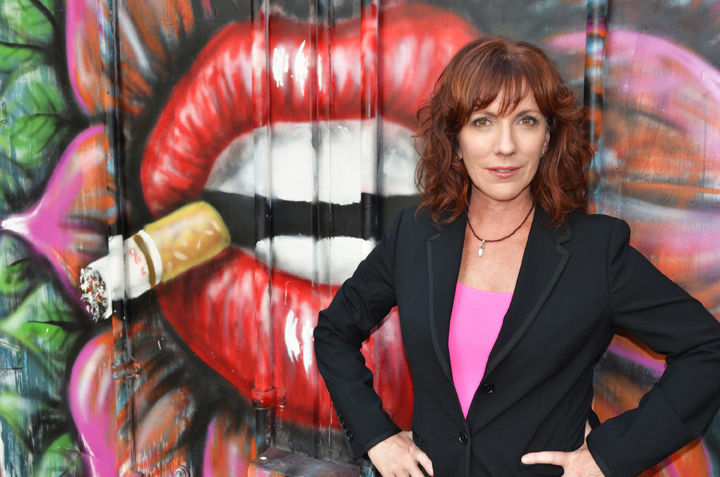 Stand-up was an offshoot of the voice Maureen had found as a journalist on TV and radio. She worked at Bloomberg doing celebrity interviews, satirical segments on local, national and world news, and humorous commentary. Then she decided she liked taking what’s going on in our society and putting her spin on it. She draws attention to life’s injustices and flips it using humor. Someone once commented to her, “Don’t judge a person until you’ve walked a mile in their shoes,” to which she replied, “I have walked a mile in another person’s shoes – my father worked for the New York City Department of Sanitation. One thing she cherished when she was growing up was the importance of education. Her parents stressed that if you had an education you had freedom. She was first in her family to attend college. She tries to shine the light on who is getting rewarded for the right things in this society. In her act she asks, “Who gets the book deals these days? The English major in school? No! Spitzer gets a talk show and the call girl of client #9 gets the book deal. Where is the smart sharp stuff that’s getting rewarded? This is not why my mother got on a boat from Ireland and my father worked himself to the bone. I don’t have a problem with reality TV necessarily, escaping with the Housewives of Beverly Hills or God love the Kardashians, if in addition things with substance were equally or more so being rewarded. Maybe I’m just looking in the wrong places, I don’t know. What’s happened is the news and the entertainment lines are blurred and the collective intellect has gotten watered down. Instead of the old motto ‘Don’t be a show-off,’ she thinks it would be great for comics to support each other more – like Maureen’s friends, Fiona Walsh and Ann Design, who host the monthly “Sundays at Seven” comedy and music evening at the Irish Arts Center. Warm, welcoming Irish hospitality, that is a place where talent can really develop. Sarah Fearon is a playwright and performer of the short play TED Talks NYC that won first place at the Players Theater Short Play Festival in summer 2015, and was featured in the Origin’s 1st Irish Festival at the IAW&A 100th Salon. Her original comedic character Snazzy Peabody, who is a real estate legend in her own mind, has been showcased in the short play Air Rights and various You Tube videos. NOTE: Fearon stars as Sally Apthorp-Belvedere, a new character of her own creation, in her latest show, 2B. The performance starts its run at the Players Theatre in NYC on April 25. For more information and to purchase tickets, click here.